As an expert in the field of biodiversity and ecosystem services, he has been working on the interlinkages between ecological, human and social systems through sustainability science approaches. His research experiences include socio-ecological studies on the ecosystem services provided by traditional rural production landscapes (Satoyama) in Japan, Asia and Africa. As a coordinating lead author (CLA) of the chapter on the conceptual framework, he significantly contributed to Japan Satoyama-Satoumi Assessment (JSSA) which is one of the sub-global ecosystem assessment conducted in Japan from 2006 to 2010. At UNU, he has been also actively promoting assessment and capacity building activities for Intergovernmental Science-Policy Platform on Biodiversity and Ecosystem Services (IPBES). Through his wide range background in ecological study, environmental systems research, environmental risk management, and sustainability science, he seeks to develop an integrated sustainable governance model for both human communities and ecosystems. 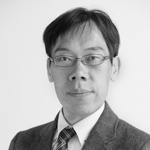 Since 2011, he has been a managing editor of the Sustainability Science journal published by Springer, and Visiting Associate Professor, the University of Tokyo. Shoyama, Kikuko, Matsui, Shiro, Hashimoto, Shizuka, Kabaya, Kei, Oono, Akiko and Saito, Osamu, (2018). Development of land-use scenarios using vegetation inventories in Japan. Sustainability Science, 1-14. Keiko Hori, Chiho Kamiyama, Osamu Saito (2018). Exploring the relationship between ecosystems and human well-being by understanding the preferences for natural capital-based and produced capital-based ecosystem services. Sustainability Science, 13(43), 1-12. Saito, O., Havas, J., Shirai, K, Kurisu, K., Aramaki, T. and Hanaki, K. (2015) Non-market Food Provisioning Services in Hachijo Island, Japan and their Implications toward Building a Resilient Island, Journal of Japan Society of Civil Engineers, Ser. G. (Environmental Research), 71(6):II_349-357. Apronti, P.T., Saito, O., Otsuki, K. and Kranjac-Berisavljevic, G. (2015): Education for Disaster Risk Reduction (DRR): Linking Theory with Practice in Ghana’s Basic Schools, Sustainability, 7 : 9160-9186. Doi:10.3390/su70x000x. Jasaw, G.S., Saito, O., and Takeuchi, K. (2015) Shea (Vitellaria paradoxa) Butter Production and Resource Use by Urban and Rural Processors in Northern Ghana, Sustainability, 7: 3592-3614.Doi:10.3390/su7043592. Saito, O., Hashimoto, S. and Takahashi, T. (2012) Ecosystem Services Assessment in Satoyama and Satoumi affected by the Great East Japan Earthquake, Landscape Research (Online Journal), 5: 63-68. Machimura, Takashi, Soda, Satoshi, Tsuyuzaki, Shiro, Nishida, Shuzo, Ohba, Makoto, Kishimoto, Tohru, Saito, Osamu, Yoshida, Kentaro, Hayashi, Kitaro, Gibbons, Philip and Matsui, Takanori, 工学生のための基礎生態学 (Tokyo: Rikoh Tosho, 2017). Hashimoto, Shizuka and Saito, Osamu, 農村計画と生態系サービス (Tokyo: Agriculture and Forestry Statistics Publishing Inc, 2014). Saito, Osamu and Ichikawa, Kaoru, “Socio-ecological Systems in Paddy-Dominated Landscapes in Asian Monsoon” in Social-Ecological Restoration in Paddy-Dominated Landscapes, ed. Nishikawa, Ushio and Miyashita, Tadashi ( Tokyo: Springer Japan,2014), 17-37. Saito, Osamu, “コナラ二次林における現代の管理方法” in 樹木医学の基礎講座 ( Otsu City: Kaiseisha Press,2014), 1-2. Kohsaka, Ryo, Shih, Wan-yu, Saito, Osamu and Sadohar, Satoru, “Local assessment of Tokyo: satoyama and satoumi – traditional landscapes and management practices in a contemporary urban environment” in Urbanization, biodiversity and ecosystem services: challenges and opportunities, ed. Elmqvist, Thomas ( Amsterdam: Springer Netherlands,2013), n/a-n/a. Saito, Osamu and Shibata, Hideaki, “Satoyama–satoumi and ecosystem services: a conceptual framework” in Satoyama–satoumi ecosystems and human well-being: socio-ecological production landscapes of Japan ( Tokyo: United Nations University Press,2012), 17-59. Saito, Osamu and Bawden, Richard, “Ecology, sustainability science and knowing systems” in Designing our future: local perspectives on bioproduction, ecosystems and humanity ( Tokyo: United Nations University Press,2011), 328-345. Saito, Osamu, Kozaki, Kouji, Hirota, Takeru and Mizoguchi, Riichiro, “Application of ontology engineering to biofuel problems” in Sustainability science: a multidisciplinary approach ( Tokyo: United Nations University Press,2011), 69-86. Mizoguchi, Riichiro, Kozaki, Kouji, Saito, Osamu, Kumazawa, Terukazu and Matsui, Takanori, “Structuring of knowledge based on ontology engineering” in Sustainability science: a multidisciplinary approach ( Tokyo: United Nations University Press,2011), 47-68.